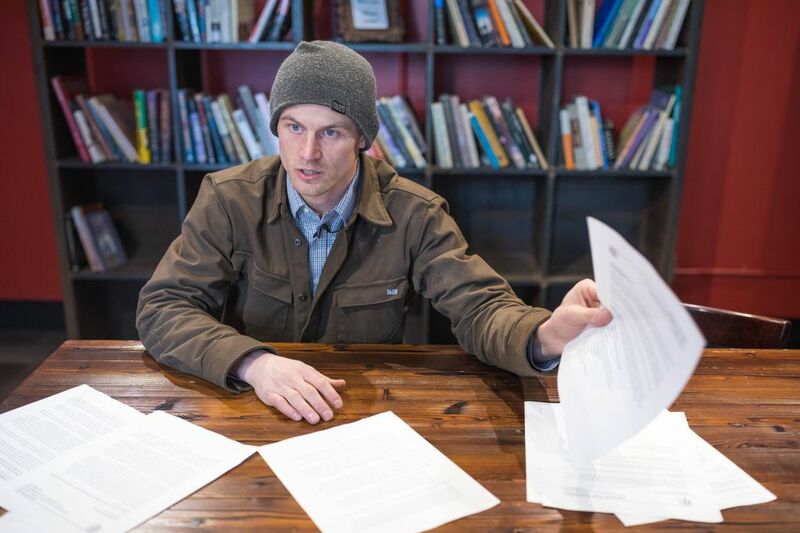 Attorney Clint Campion spoke to reporters Wednesday on behalf of his client, Iditarod musher Dallas Seavey, who is responding to reports that some of his dogs tested positive for a banned drug after the 2017 Iditarod Trail Sled Dog Race. An attorney for four-time Iditarod champion Dallas Seavey says an investigation by a Louisiana-based toxicologist proves the musher did not dope his sled dogs during the 2017 race to Nome. Clint Campion, who is representing the musher, called a press conference in Anchorage on Wednesday morning to give the results of the toxicologist's analysis. 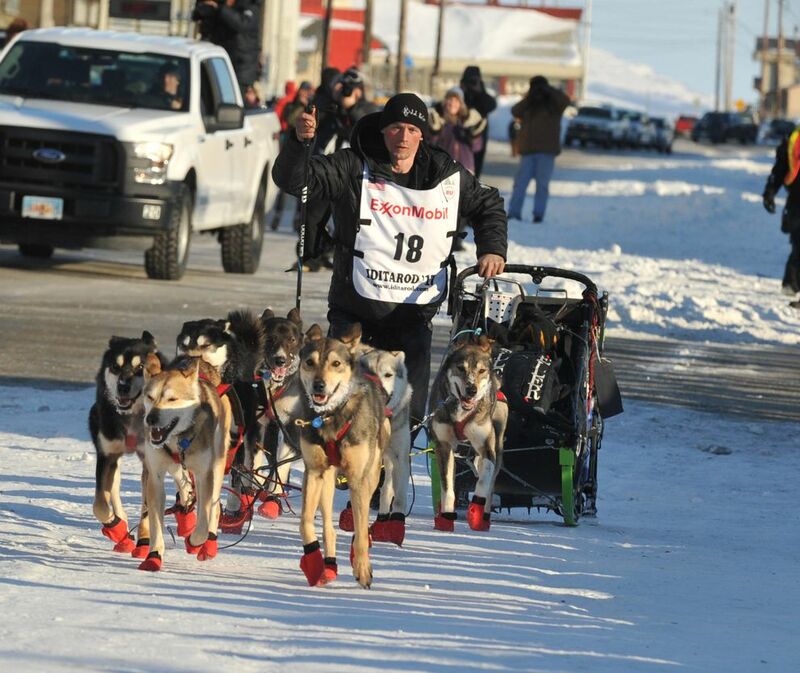 He said it concluded someone gave Seavey's dogs the prohibited drug two to four hours after the team finished last year's Iditarod in second place, not while they were on the trail. "The goal of today is to restore Dallas' reputation and remove the cloud of suspicion that's been over his head for the last five months," Campion told reporters. For months, Seavey has waged a public battle against Iditarod race officials over his sled dogs' drug tests. He hired a public relations firm as well as Campion, a former Anchorage district attorney, to help. After the press conference Wednesday, the Iditarod Trail Committee, which stages the annual race, released a statement that said it was reviewing the new information from Campion and would request any documents from Seavey's team to investigate further. "We look forward to saying more once we have had an opportunity to do so," the statement said. The committee also said it wanted to re-emphasize it did not blame Seavey for his dogs' positive drug tests and would continue to not speculate on what led to the results. The committee did not respond to any additional questions Wednesday. The drug test controversy that pinned Seavey against Iditarod officials started publicly in October. Over a few weeks that month, Iditarod officials announced that urine samples taken from four of Seavey's dogs six hours after they finished the 2017 Iditarod tested positive for tramadol, a painkiller prescribed to both dogs and humans that the race prohibits. It was the first time the Iditarod ever announced dogs had failed a drug test. Seavey vehemently denied giving his dogs any prohibited drugs. In protest of the Iditarod's handling of the test results, he withdrew from the 2018 race. He announced he would launch his own investigation into the drug tests. Iditarod race officials said they couldn't penalize Seavey for the positive test results because they couldn't prove he gave the drug to his dogs. They changed the race rules, holding mushers strictly liable for positive drug tests in the future. In October, the committee said that based on the test results, Seavey's dogs could have ingested the tramadol anywhere from right before they were tested in Nome to 15 hours before that, putting the team at White Mountain, 77 miles from the finish line. The Louisiana-based toxicologist, Dr. Patricia Williams, said she disputes that wide window of time based on her review of information provided by the Iditarod and her analysis of the ratio of the parent drug tramadol to metabolites found in Seavey's dogs' urine samples. Williams said she is a board-certified toxicologist who traveled to Alaska with her grandchildren last year for the Iditarod's ceremonial start in Anchorage. She said she later heard about the drug test controversy and offered to provide an additional analysis of the results, eventually connecting with the Seaveys. She said she told them, "I'll look at it and I'll call it like it is." She said she provided the analysis "pro bono." — Tramadol was administered to four of Seavey's dogs two to four hours after Seavey finished the 2017 Iditarod. — The dosing of Seavey's dogs "supports intentional doping of his dogs by an unknown third party." — "The administration of tramadol to Seavey's dogs after the 2017 Iditarod was potentially harmful to his dogs and would not have provided any competitive advantage to Seavey." "These facts constitute clear and convincing evidence that Seavey did not dope his dogs," the statement said. Campion said it's unknown who gave tramadol to Seavey's dogs, but says it was not Seavey or his handlers. He said Seavey was not in the Nome dog lot the night of the drug testing. He had handlers there, Campion said, but it's possible the dogs were alone for a period of time. Campion contends that the Iditarod should have never publicly released Seavey's name. Race officials should have completed an internal investigation and if they couldn't prove Seavey violated race rules, his name should have remained confidential, Campion said. Even though race officials have not penalized the musher, they have tarnished his reputation and made him a "scapegoat" in the drug testing controversy, he said. Campion said Seavey wants the Iditarod to clear his name. Seavey is currently in Norway preparing for the Finnmarksløpet, Europe's longest sled dog race, which starts March 9.